My eldest daughter didn't get her first wobbly tooth until she was 7 years old so imagine my surprise when my 5 year old told me this week that her tooth was wobbling. I thought she was joking at first because she loves to copy her sister, so I had a little wobble myself and she was right, one tooth ready to be wiggled and jiggled. Her older sister currently has two wobbly teeth, she has always been a bit reluctant to get wobbling so I said it is now a race to see who can get theirs out first. I should have thought about this before I opened my mouth. 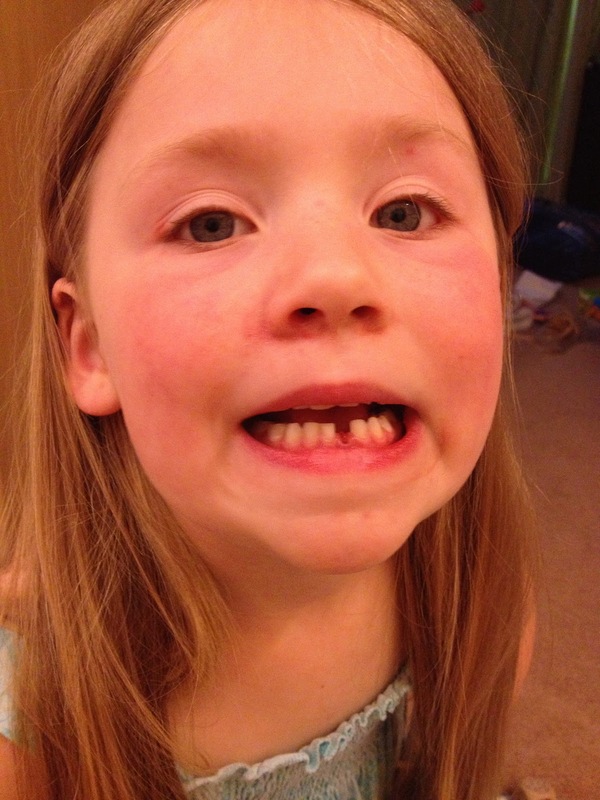 Now the "tooth fairy" needs to go and save up some pennies so she's ready to do her job. The going rate for teeth these days seems to have increased in price along with everything else. We are currently paying £1 a tooth. What's everyone else paying, does the tooth fairy need to drop her prices seen as there is a recession on?? Miss 5 year old is the champion and her prize, a visit from the tooth fairy! !